My favorite part of Arianna Huffington's new book, Thrive: The Third Metric To Redefining Success, is when Ms. Huffington talks about eulogies. "It's easy to miss the real point of our lives even as we're living them," she writes. "And it's very telling what we don't hear in eulogies." Those things include making senior vice president, sacrificing kids' little league games to go over those numbers one more time, or my personal favorite: "she dealt with every email in her in-box every night." "You never hear, 'George increased market share by 30 percent,'" Huffington said at a recent event at SoHo House in New York City. What you do hear in eulogies, she says, are stories of "small kindnesses." It's well-known that details make good art great. Small flourishes define superlative architecture. Tiny considerations make products world-class ("Jobs spent days agonizing over just how rounded the corners should be," writes Walter Issacson in Steve Jobs.). Subtle word choices separate great poets from amateurs. I think the same can be said of the way we work. Tiny considerations in poems and products are all about the users, and how the creator can delight them; in a sense, this kind of mentality is what Wharton professor Adam Grant talks about in his research on corporate "givers" versus "takers." In various research studies now famous in his book Give and Take, Grant has shown that the most successful people in the workplace tend to be the ones who give selflessly to others without expectation of returned favors. In Thrive, Huffington argues that power and money have too long been life's main yardsticks of success, and that we should measure it instead by four new metrics: Wisdom, Wonder, Well-being, and Giving. If the eulogy test is an indication, Giving is likely the most memorable of the four. "It's tempting to reserve the giver label for larger-than-life heroes such as Mother Teresa or Mhatma Gandhi, but being a giver doesn't require extraordinary acts of sacrifice," Grant writes in Give and Take. "It just involves a focus on acting in the interests of others, such as by giving help, providing mentoring, sharing credit, or making connections for others." 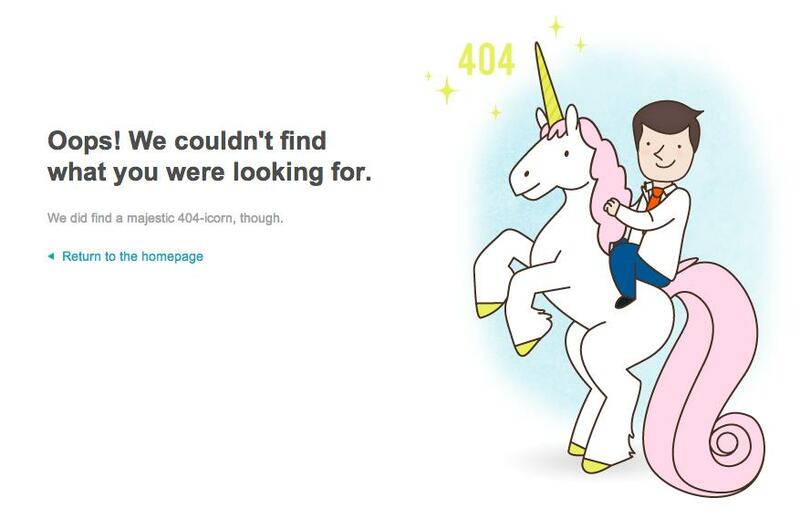 It's no surprise, based on this image alone, that ZocDoc has been repeatedly voted one of the best places to work in New York, and that its users routinely email its customer support team to say, "This is the best website I've ever used." Sick people (ZocDoc's primary users) can be the crankiest customers, but ZocDoc manages to keep them happy through a habit of small kindnesses, of which this is just one example. And even though it's a silly message, it works. Uber cab treats. I love when black car services offer bottled water to passengers; it's a tiny expense that goes a long way toward customer comfort. But Uber recently upped the ante for me when I recently got into one of its cars in San Francisco. The driver had placed fancy jars of candies in the console for passengers. It was a small thing, but somehow made me feel like the most important customer in the world. I gave the driver five stars. Terms of service that don't make you feel like an idiot. 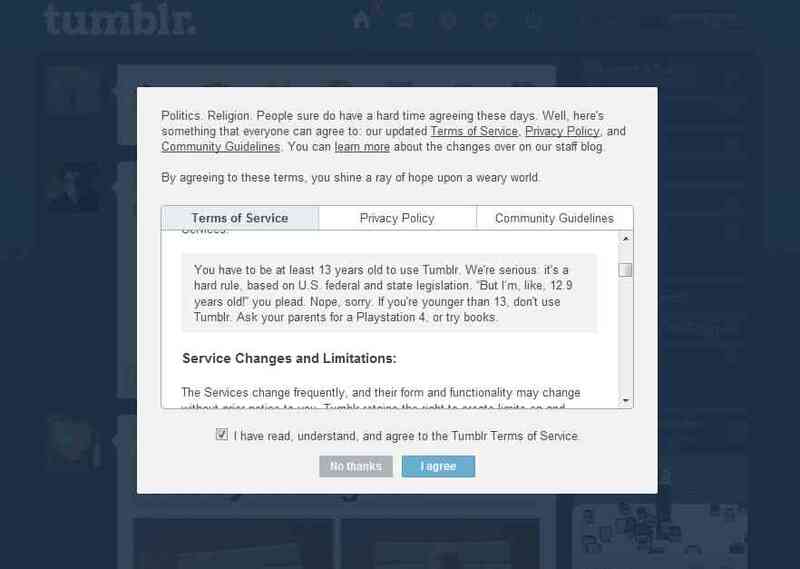 Only the perverse people love website Terms of Service. Tumblr knows this, and did everyone a kindness by putting their terms in plain English, adding a bit of humor and lots of colloquialism to make them more pleasant. Personal attention from company owners. One of my favorite tech startups right now is TrackMaven. The main reason (aside from being a great product) is that my account manager over there acts like my personal assistant. She's willing to do anything to make my life easier (even sometimes giving advice on things that have nothing to do with their product). And if I ever have a problem, the CEO of the company gives me a phone call. It's a tiny gesture, but means a ton to me. Similarly, I love how 37Signals talks to its visitors and users like real guests. Most of the communication on the site comes directly from the founder in heartfelt, personal notes. This page about the company's story is a great example of what 37Signals does throughout its products: humanizes itself. It doesn't take much longer to write real, human copy than it does jargony marketing copy, but the tiny kindness makes a huge a difference. Brevity. Speaking of copy, you know what's the worst thing in the world? People who talk forever and don't get to the point. The second worst? Enterprise software. Unsurprisingly, the first thing is my main beef with the second. Of all the jargony, salesy, ambiguous and self-aggrandizing companies in the world, for some reason enterprise companies take the cake. (I know, because I run one of them!) Regardless of who we are, though, most of us tend to talk too much instead of giving the users what they want: a tl;dr of what we can actually do for them. On the other hand, the most unselfish thing a company can do, in my opinion, is say what it does clearly and quickly, then get out of the way so you can do what you want to do. 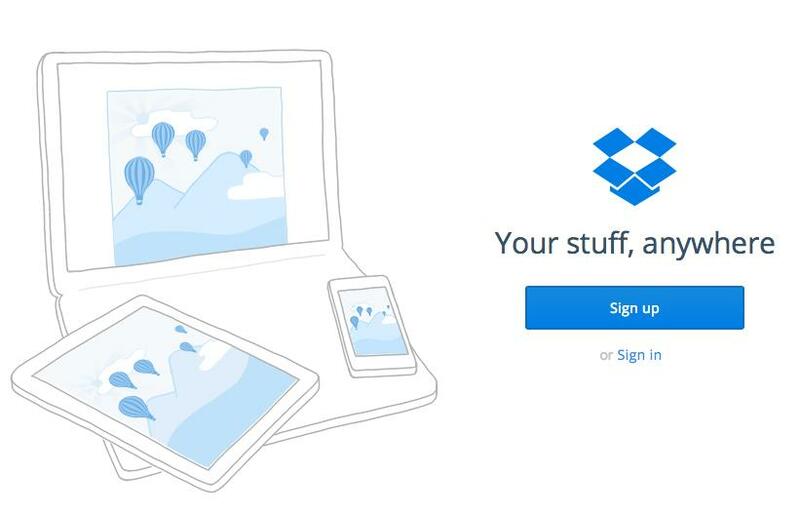 Dropbox is an amazing example of exactly this, managing to say what it does in three words. These things are easy to do; we just get so caught up in me, me, us, us, that we often forget the need for (and power of) social grace. I myself often need the reminder that at the end of the day, business is always about people. I'm in Huffington's camp when she says that the number of dollars we make is secondary to the number of them that we can give to. Here's to hoping it doesn't take a funeral for the message to fully sink in. Read more posts about Thrive from featured HuffPost contributors here.